In summary, this study suggests that anti-leukotriene therapy already available in the market could provide anti-cancer benefits. British American Tobacco among firms to protest at measure banning logos and branding, saying market is already highly regulated. The research team reviewed the medical records of 1,268 men who had an abnormal (high) PSA test result and were evaluated at the Ottawa Regional Cancer Assessment Centre between 2008 and 2013.
sNDA seeks new indication to expand approved use of IBRANCE based on data from Phase 3 PALOMA-3 trial. The company has more than doubled the number of cancer medicines in development in the last three years, including treatments that marry radiation and biologics. Lilly’s abemaciclib is a cell cycle inhibitor, designed to block the growth of cancer cells by specifically inhibiting CDK4 and CDK6. Pembrolizumab is a humanized monoclonal antibody that works by increasing the ability of the body's immune system to help detect and fight tumor cells. PSCA is a cancer antigen expressed in many malignancies, including prostate, pancreatic, bladder, esophagus, and gastric cancers. Bellicum is developing BPX-601, a GoCAR-T™ product candidate targeting PSCA that has demonstrated robust anti-tumor activity in preclinical studies. Puma Biotechnology Inc. lost $9.01 (11%) to $72.22 on Thursday after data from two Phase II trials showed neratinib (PB272) led to high rates of severe diarrhea in patients with HER2-positive metastatic breast cancer, even after some patients received prophylaxis with antidiarrheal agent loperamide. Before we can realize the dramatic potential of the healthcare data revolution, a number of practical, logistical, and scientific challenges must be overcome. And one of the first that must be tackled is the issue of terminology. - The Appraisal Committee concluded that enzalutamide is a well-tolerated treatment that delays chemotherapy (which it recognised as being valuable to patients) and improves survival. It was also found to be cost-effective. - The Appraisal Committee recognised that abiraterone is a well-tolerated treatment , which delayed chemotherapy but it was not convinced that the uncertain evidence for the long-term benefit of abiraterone justified accepting estimates of cost-effectiveness that were significantly above what it would normally consider acceptable. NICE has issued final draft guidance recommending Astellas Pharma’s Xtandi (enzalutamide) in prostate cancer prior to chemotherapy, but not Janssen’s Zytiga (abiraterone). 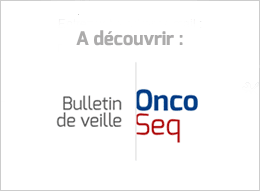 First Clinical Data Presentation of SGN-LIV1A Demonstrates Antitumor Activity and Well-Tolerated Safety Profile in Patients with Triple Negative Metastatic Breast Cancer. Patients With a Positive myChoice HRD(TM) Score Are Five Times More Likely to Respond. The interim efficacy results from the trial showed that for the 19 efficacy evaluable patients in the breast cancer cohort, 6 patients (32%) experienced a response at week 8. This included one patient with a complete response and five patients with partial responses. Indoximod is currently in multiple Phase 2 clinical trials for the treatment of patients with breast, prostate, pancreatic, melanoma and brain cancers and in Phase 1 clinical trials for the treatment of pediatric patients with primary malignant brain tumors. Treatment modality is also the most expensive in younger patients, MD Anderson study finds. Previous results from GeparSixto showed carboplatin also increased pathologic complete responses. Smith and colleagues used two data sources to gather information on treatment costs: the MarketScan database, a commercially available database on insurance claims from employers that they used to gather data on younger women, and the SEER-Medicare database, which they used to collect data on older women. Data from 37,207 women diagnosed with early-stage breast cancer between 2000 and 2004 was used to estimate 10-year OS, and data from a subcohort of 7,552 patients with similar characteristics diagnosed in 2003 was used to estimate 10-year DFS. Harris also noted that this study indicates that APOBEC3B, as a dominant intracellular source of genetic mutation, could potentially be controlled to prevent cancer progression. The Austrian Breast and Colorectal Cancer Study Group-18 (ABCSG-18) trial enrolled 3,425 postmenopausal patients with early-stage, HR-positive breast cancer. In addition to adjuvant AI, roughly half of the study participants were randomly assigned to 60 milligrams of denosumab once every six months and the other half were randomly assigned placebo. EBV is very different from HPV. EBV is a type of virus called a ‘herpesvirus’, and at the moment, there are no protective vaccines against any human herpesviruses. Hsu now hopes to adapt CRISPR/Cas9 tools so they can be used to manipulate RNA just as skillfully as one can manipulate DNA. Share your thoughts below in the comments. And on January 5 at 1:00 p.m. ET, be part of our Google Hangout on precision medicine in NCI’s National Clinical Trials Network. "There's definitely something going on here, but we're not sure what explains it," Harari said. "To find the etiology of why its happening we need more research."